There was no Hartbeespoort Dam in those days. The agricultural storage dam was only created more than twenty years later as was the railway line. However the waters covered the direct road from Pretoria to Rustenburg, hence the road is presently diverted over the darn wall. The original road ran parallel to the railway line but on the north side of the Rietfontein Hills crossing the present R511 road and continuing as the Wagonpad (actually through residents’ back gardens as seen by the double row of trees from the air) through Ifaﬁ into the nature reserve, thence past General Hendrick Schoeman’s farm crossing the Crocodile River by a rickety wooden ‘Paul Kruger’ bridge, past the present day new part of Kosmos, over Commando Nek eventually joining the present ‘old’ Rustenburg road. ‘Schoemansrus’ is approximately one third of the way between Ifaﬁ and Cosmos The foundations of the farm appear above the surface occasionally at ‘low tide’ on the dam. 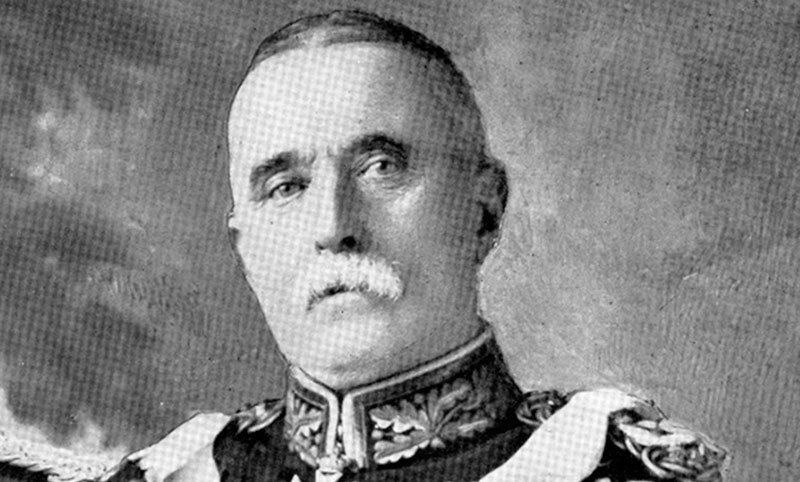 General Sir John French’s cavalry formed the left wing of the British army’s advance on Pretoria. His objective was to swing to the West of the capital, cross the Magaliesberg and proceed to relieve the concentration camp for 4000 British POWs at Waterval on the railway line to Pietersburg. On June 3rd. 1900 Lord Roberts began his march on Pretoria whilst French left Bergvlei and at Diepsloot realised that he must cross the ‘Yokskei’ and Crocodile rivers immediately before the ever—deeper valleys became impassable. His goal that day was to control the known ford over the Crocodile at Welgegund, near Broederstroom. Encountering light resistance he was thus approaching the Kalkheuvel pass in the Witwatersberg by the late afternoon and his advance patrols found themselves in a race with a 25-wagon and two— gun convoy of Cmdt. SP du Toit sent to block the pass. The leading sections were the 6th. Royal Dragoon Guards ‘Carabiniers’ and the 6th. Inniskilling Dragoon Guards, ‘Inniskillings’, who described the ‘deep, narrow deﬁle shut in by a double row of rugged kopjies’ and ‘steep frowning hills held by Boers’ as they pressed on into the jaws of the pass’. Two Carabiniers were killed in the ambush and one mortally injured. The sudden halt and turn about resulted in confusion as the following troops came up. Maj. (later Field Marshall) EHH Allenby of the Inniskillings saved the situation by dismounting and dispersing the men. Other units including Canadian and Australian Mounted Infantry (M1) were sent to storm the heights. General French called for the guns of the Royal Horse Artillery (RHA). ‘T’ Battery came up and with ‘O’ and ‘G’ batteries to the rear peppered the heights with shrapnel. The Canadians and Australians controlled the heights by dark, but sporadic sniping continued for a few hours. Five more troops were wounded, ﬁfty horses killed. French expected the road to continue down the pass in the alignment of the present R 512, however the banks of the Crocodile towards Welgehund become too precipitous. He was not aware until the following morning that for this reason the road takes a right— angled turn to the left and climbs up a side valley on the way to Broederstroom. The road still exists and continues to Jalalapur’s store and on to the farm Klipdrif where a breakfast on a huge table had been prepared for the Boers. Fortunately for the troops, the Boers did not have time to stop and eat it, but the troops made up for the oversight and helped themselves in the orange groves. The road is lost under the dam at Oberon. 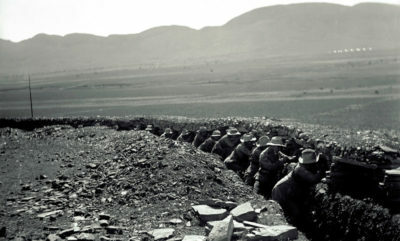 Emerging from the valley the troops saw the Boer convoy vanishing into the distance; shelling came from the hilltops. ‘G’ Battery came into action to clear the way. Some African villagers had gathered on a hilltop to see the fun, but as they could not be distinguished from Boers at that range they were also shelled for their trouble. Once the guns found the range the Boers departed, not to mention the villagers. General French arrived at Schoemansrus at two o’clock having crossed by the wooden bridge and here met his old opponent of Colesburg. General Schoeman obtained a protection order from him in return for an oath of neutrality that was to contribute to his bad name amongst the Boer hierarchy. Elements bivouacked at the farm and at Rietfontein; others took control of Commando Nek and Silkaatsnek. The following day the cavalry turned towards Pretoria on both sides of the Magaliesberg. The 211d. Royal Dragoon Guards (Royal Scots ‘Greys’) liberated 36 ofﬁcers and 3 500 men at the Waterval concentration camp who were then transferred to Pretoria by rail. Pretoria surrendered on 5th. June after the main army had advanced astride the railway line from Pretoria.